Each student has a unique set of interests and skills. 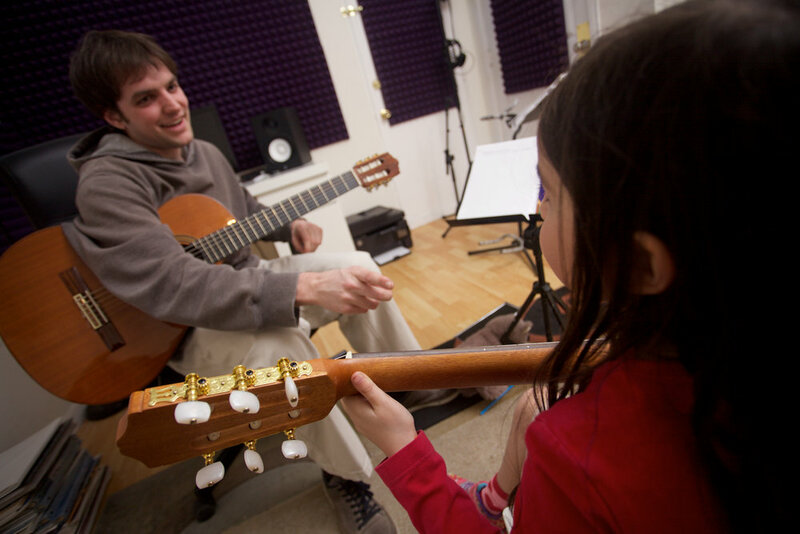 It is absolutely critical for a good music teacher -- any teacher really -- to recognize this fact and capture the imagination of each unique individual. I don't believe in assigning standardized music books, but draw from a wide array of pieces, carefully selected for the student. I also understand that students develop skills at different rates and do not hold expectations based on age or peers. Good education is laying out a string for the student to follow, a unique path filled with inspiration and driven by curiosity. It's precisely this philosophy that has allowed me to achieve fantastic results. This is absolutely CRUCIAL when working with children. I've designed a unique set of games that I routinely incorporate into lessons. From pokemon guitar games to simon says, I have a game to capture the imagination of any child that comes to my lessons. Students have to first look forward to lessons before any serious, lasting results can be achieved. Whether it be traveling to see my students perform in talent shows and competitions, or inviting students to recording studios, I am there for them. Just recently one of my 13 year old students expressed interest in composing music for video games. I responded by bringing him to the University of Southern California (the leading game development school in the world) and introduced him to a student team developing a cutting edge, virtual reality game. At 13 years old he is now making music and sound for an awesome game! My studio size is capped at 30 students. Because I do not overbook myself, I am able to individualize lessons and continuously look for cool opportunities and learning experiences for my students. Quality not quantity here.